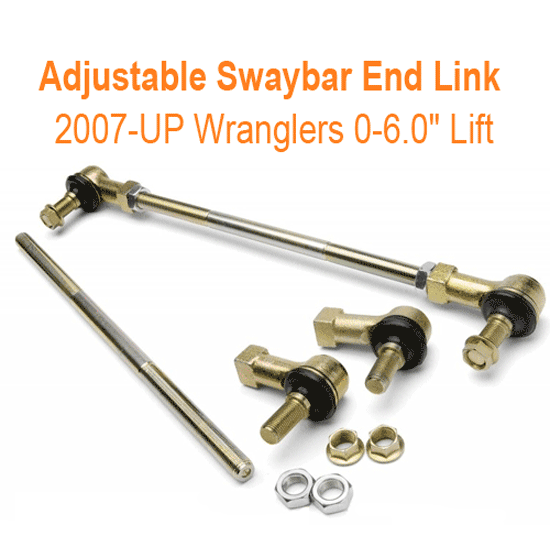 JKS Manufacturing Adjustable Swaybar End Link for 2007-15 Jeep Wranglers with 0 to 6 inch Lift. 1 Requires Front 3" to 6" of Lift. 2 Rear 0" to 6" of Lift. 3 Not compatible with aftermarket swaybars. 4 Front installation on Rubicon models requires drilling.